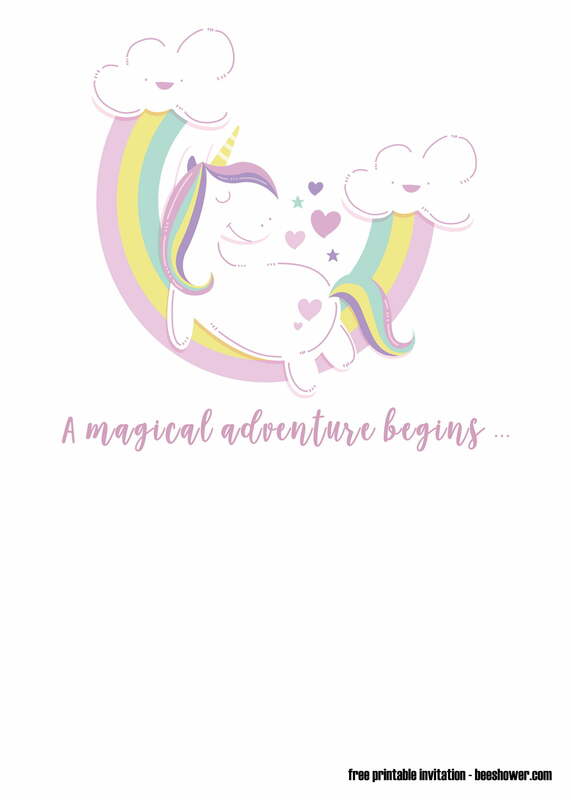 Well, it’s 2019, but Unicorn hype is still there! 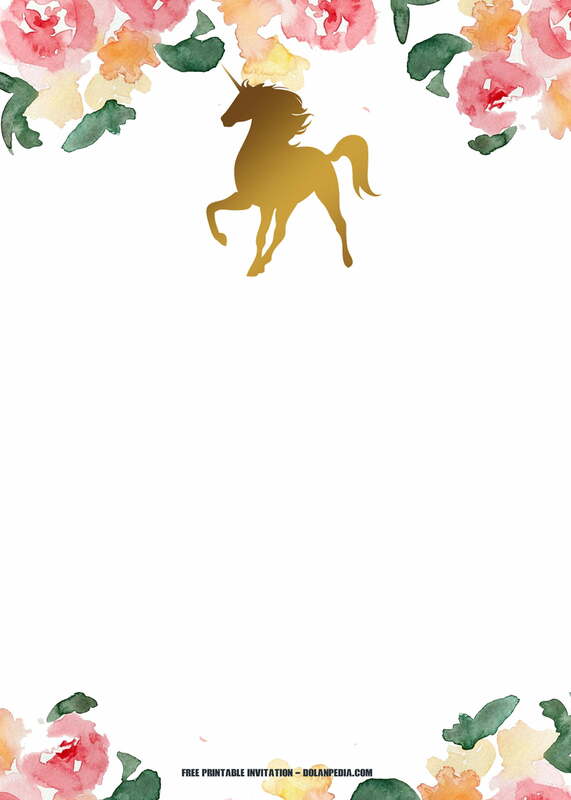 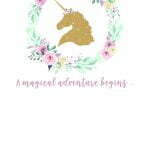 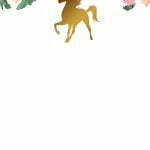 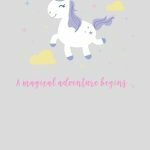 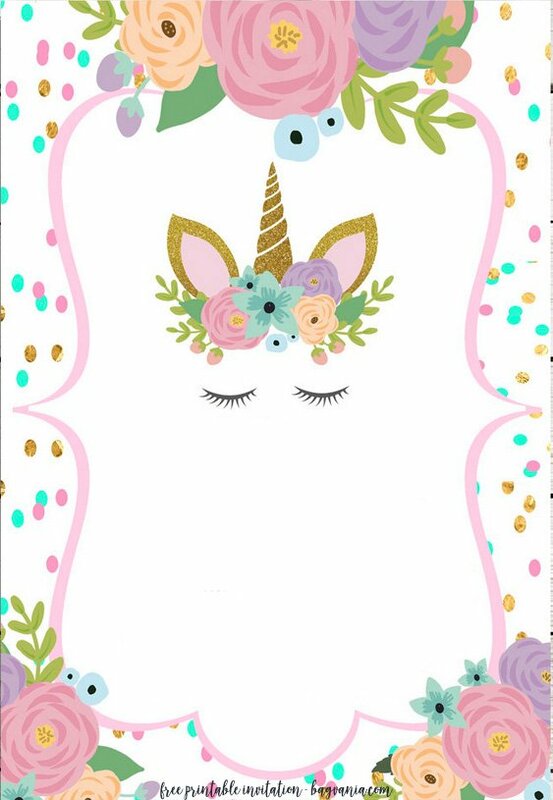 Thousands of our readers wants to download and requested Unicorn Baby shower invitation template. 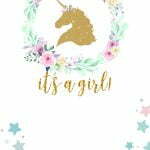 This vintage style of Unicorn baby shower invitation still being one of the most popular party-themed. 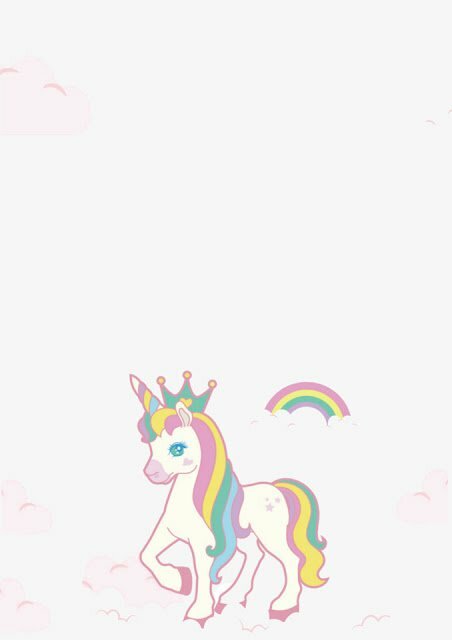 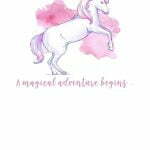 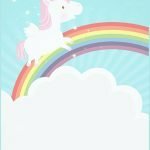 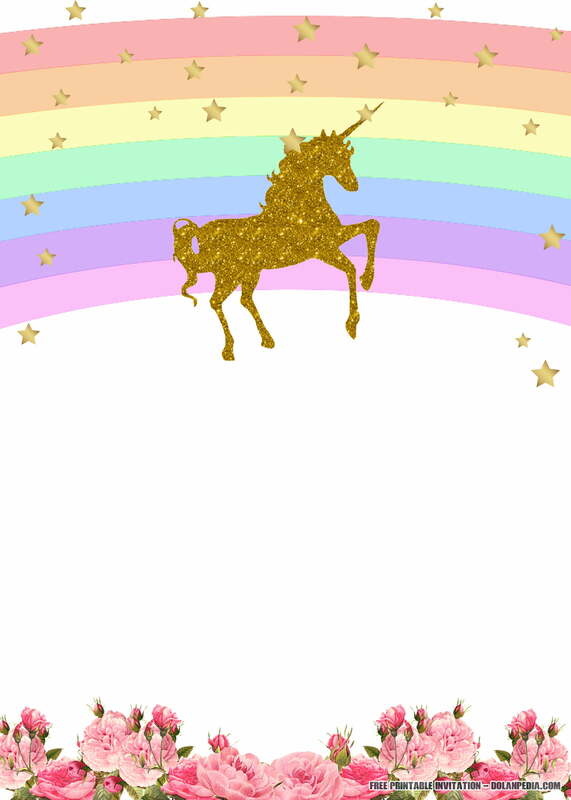 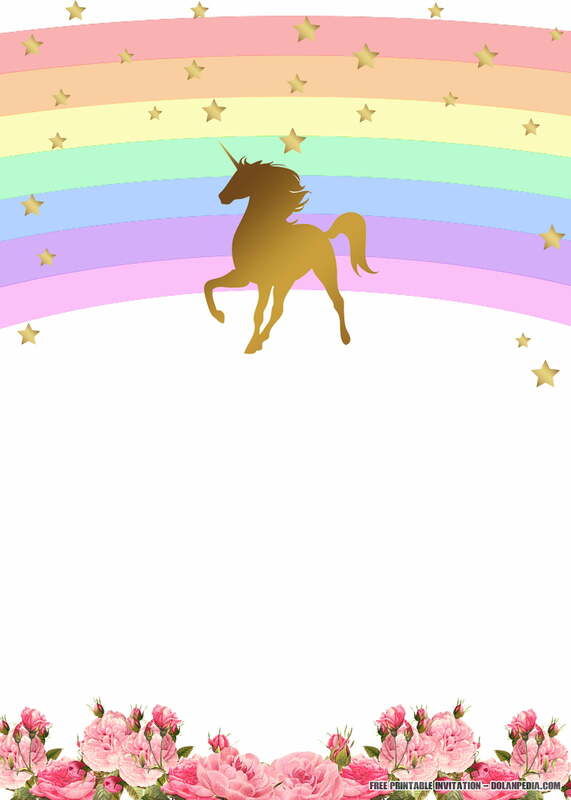 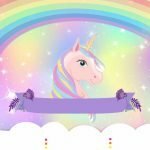 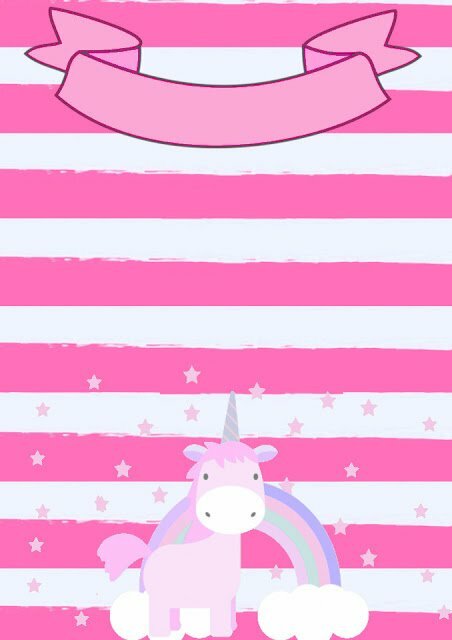 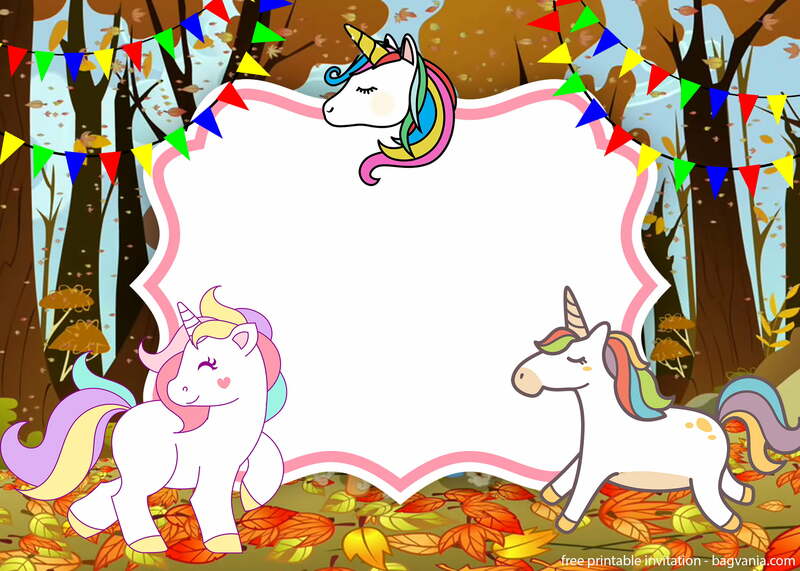 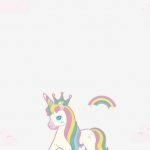 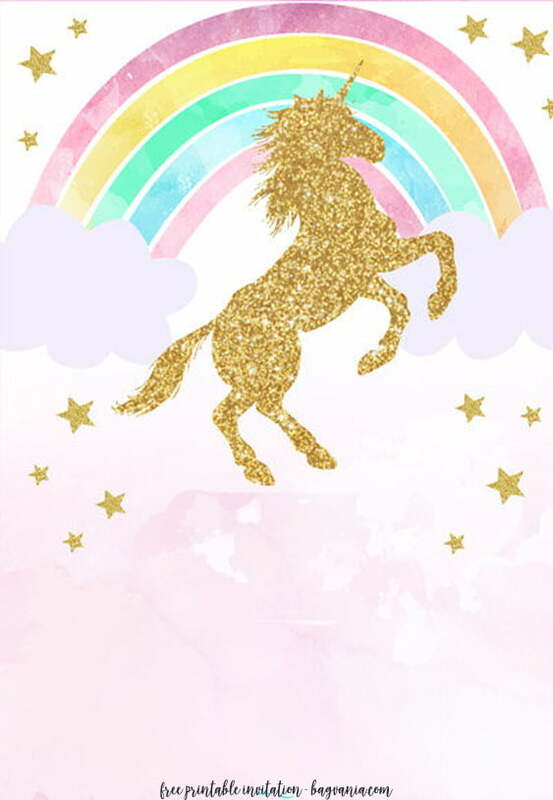 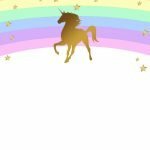 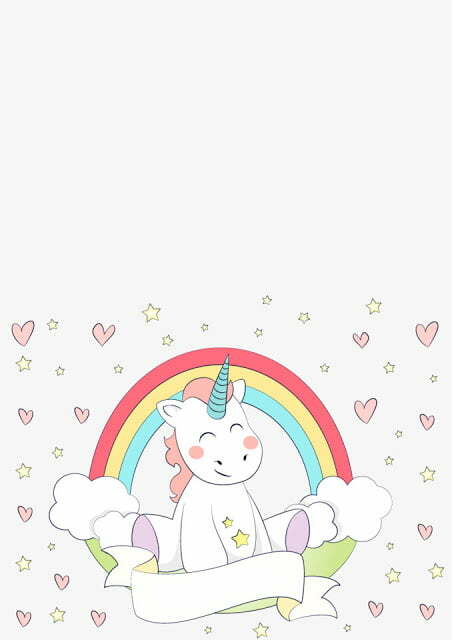 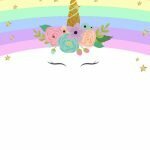 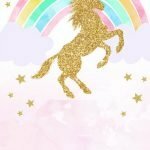 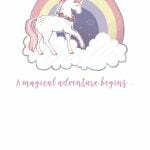 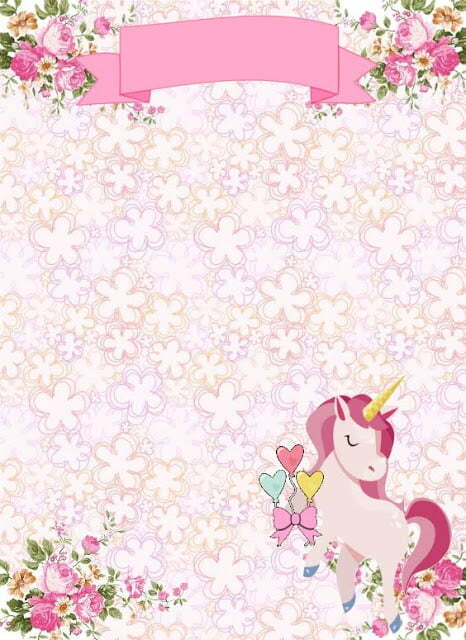 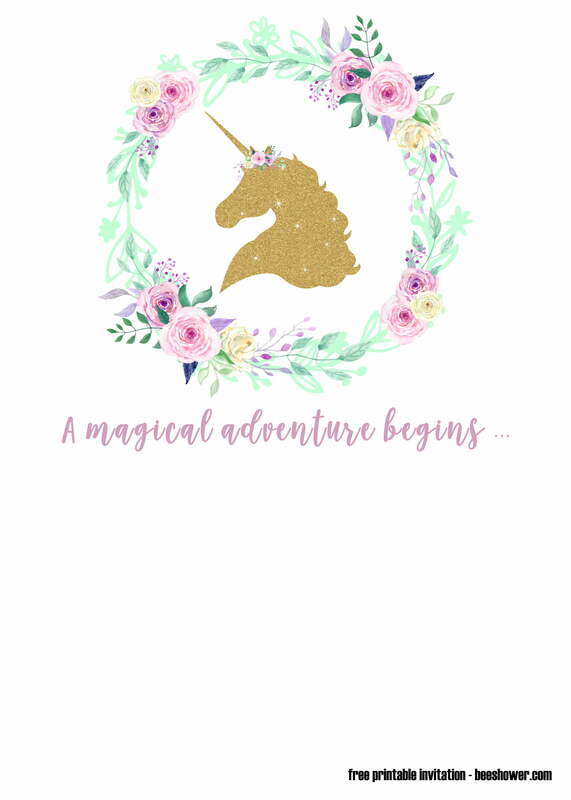 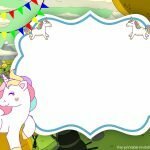 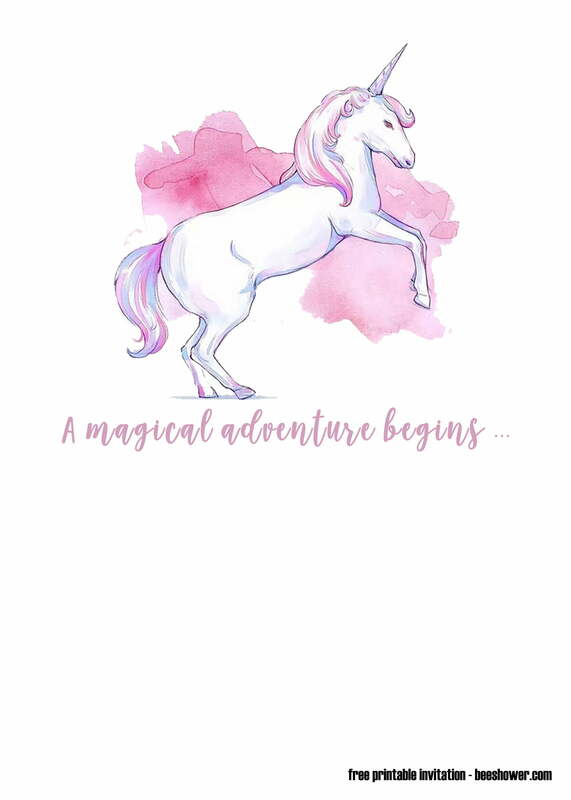 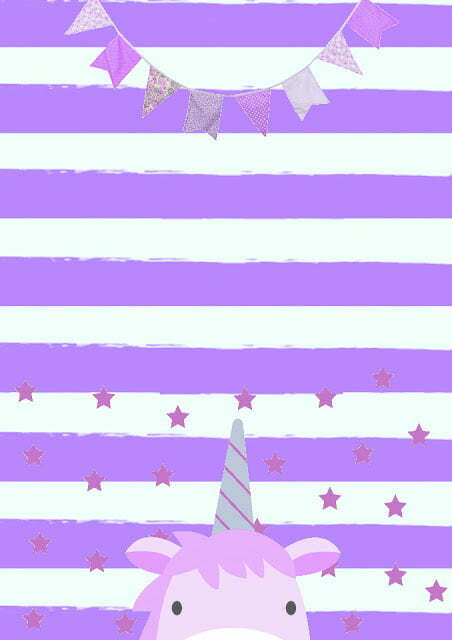 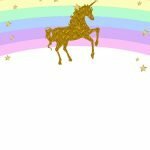 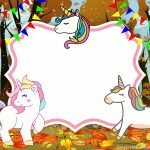 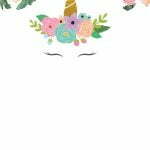 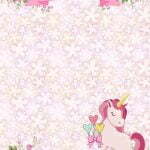 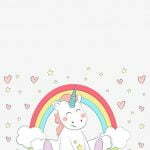 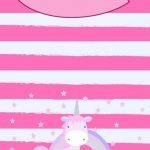 Now today, we will bring this Unicorn invitation template for you. 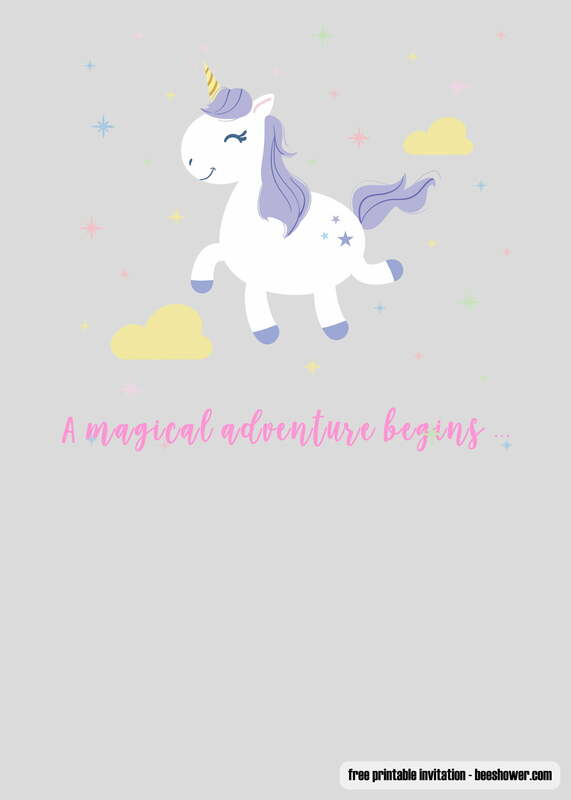 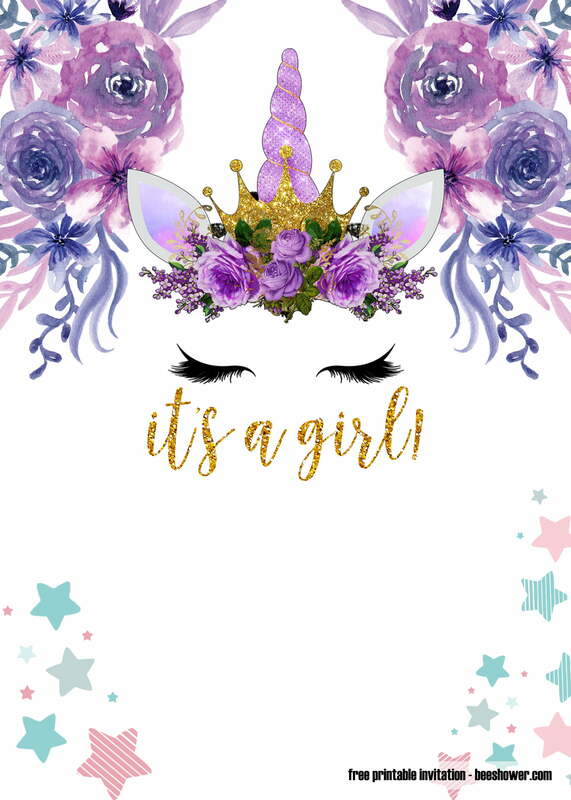 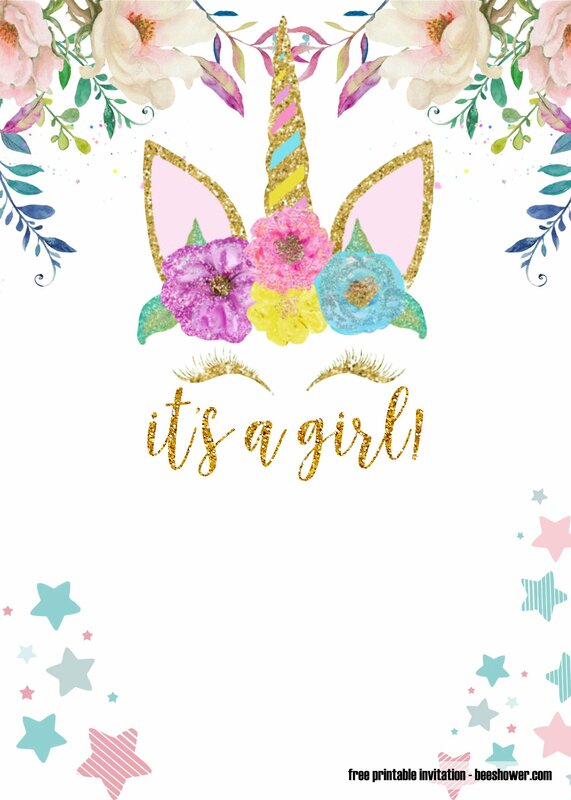 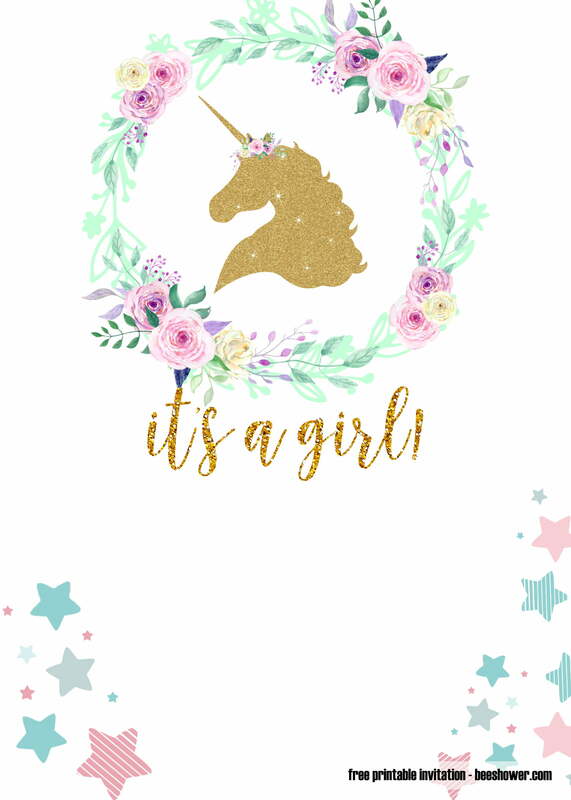 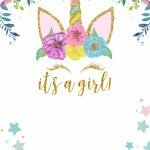 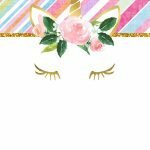 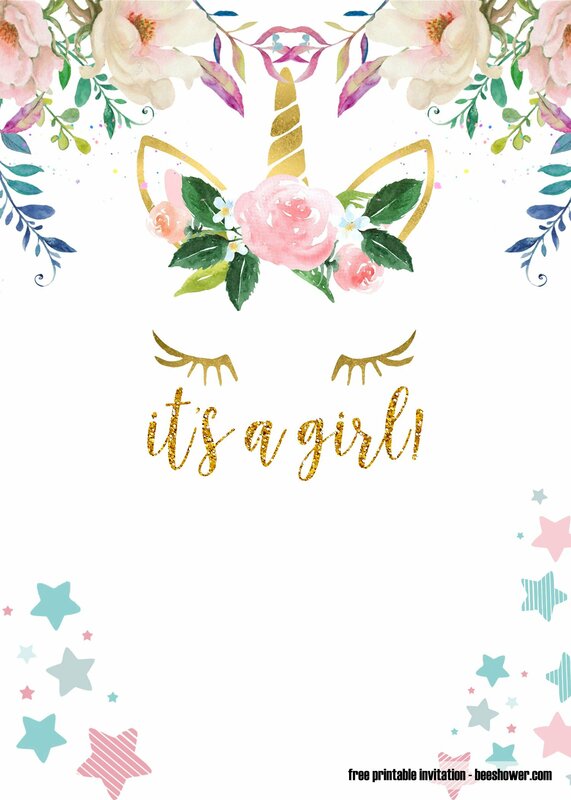 Designed and edited by myself, you can use this Unicorn baby shower invitation templates for free! 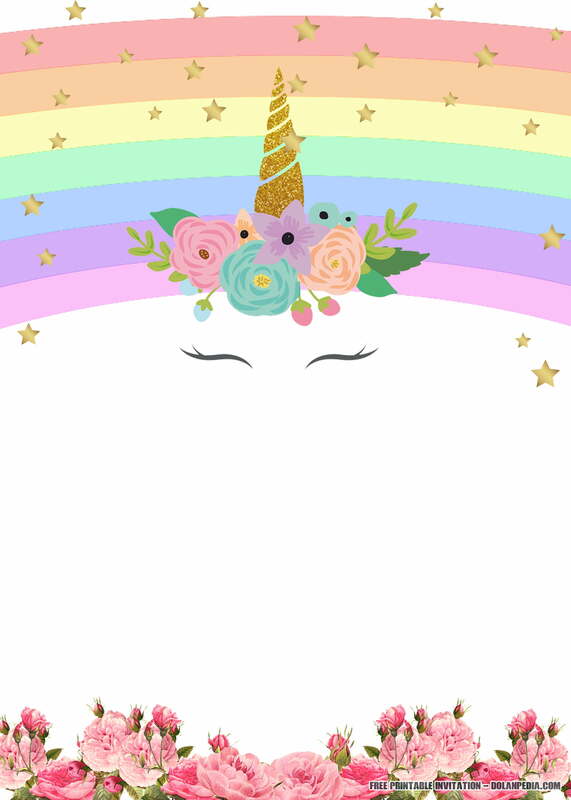 For your personal use only. 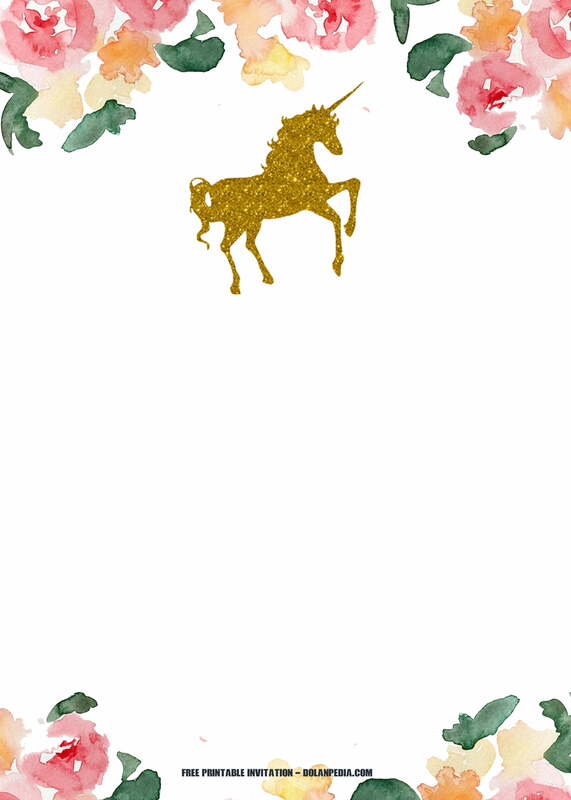 Simply click on the invitation, the Image will be popped-up, then Right click the invitation, Choose Save Image As. 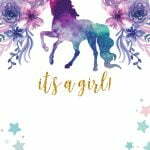 These Unicorn baby shower invitation templates comes in various size and orientation. 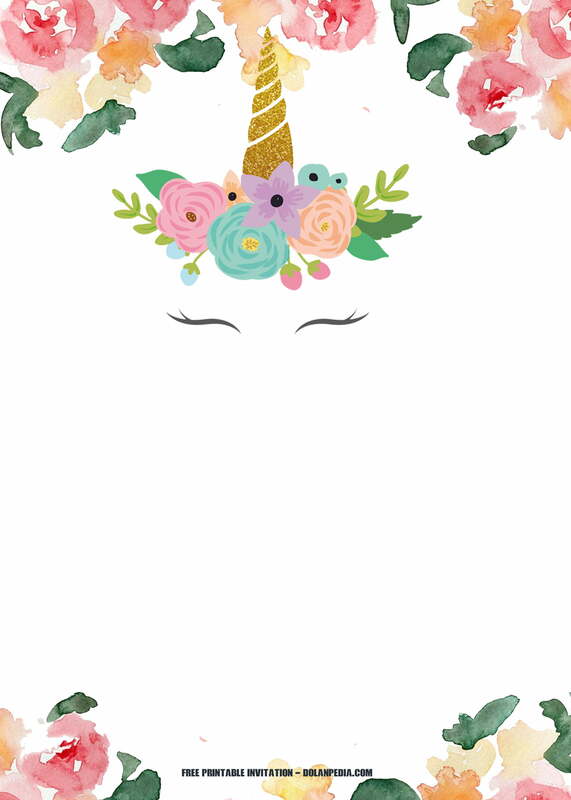 We have both portrait and landscape version. 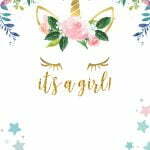 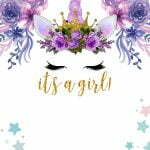 Choose which best for you, comes in blank template, you can easily write down your baby shower party details like time, date and location of your baby shower party. 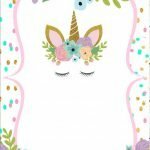 Write it down with a pen or a marker. 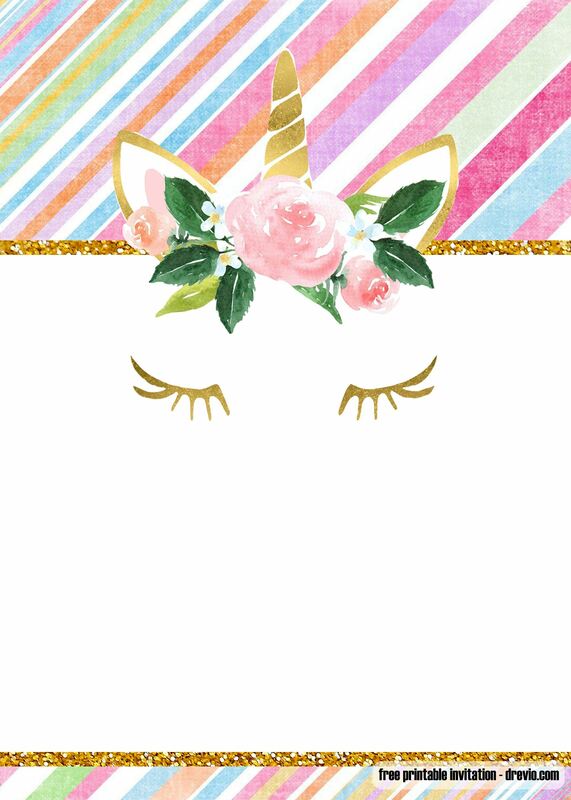 Then, to edit the template, you can use Adobe Photoshop. 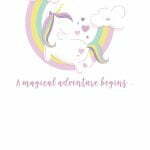 You can start by adding the words to the available space using the Blueline Paradise font. 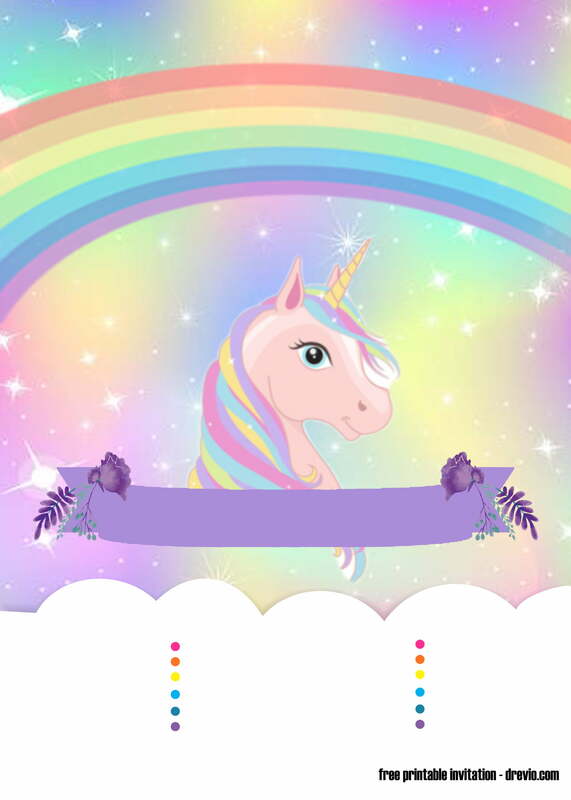 For the finishing touch, you can adjust the color of the words to match with the background. 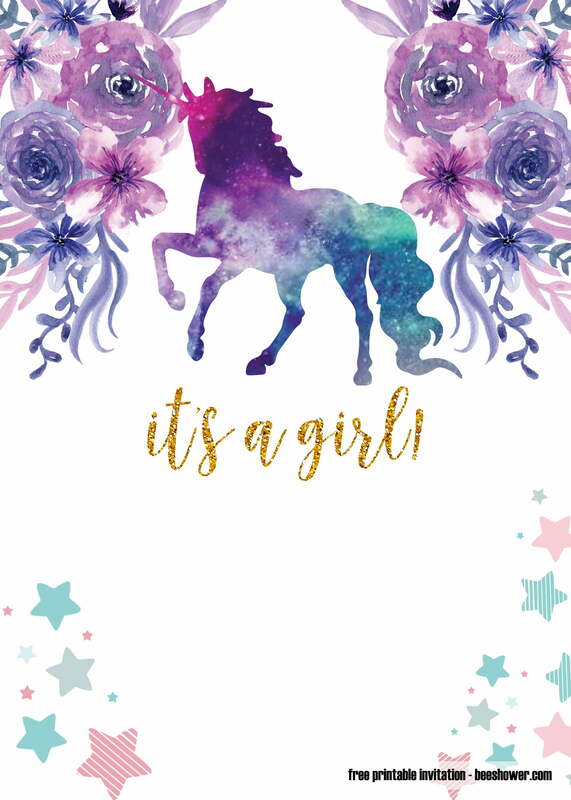 Last but not least, you can print the boy baby shower invitations using your regular printer. 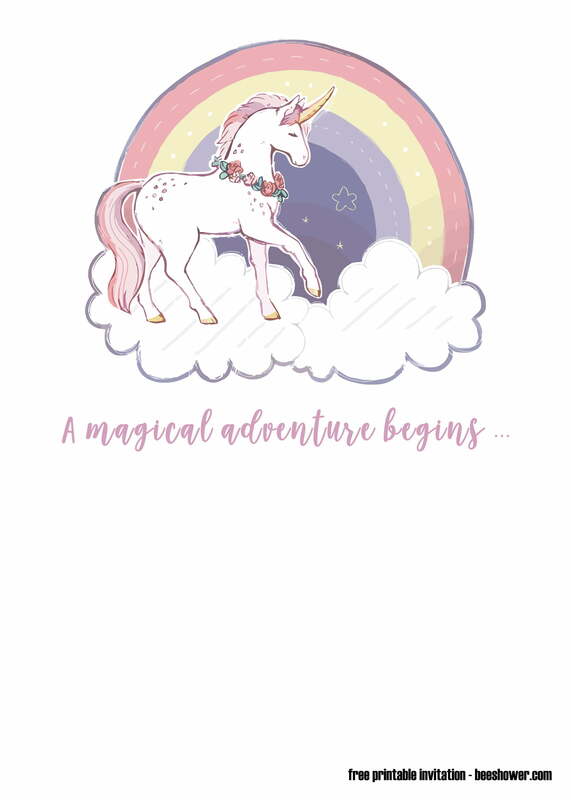 Of course, there is a tip so that your printer can produce a good template. 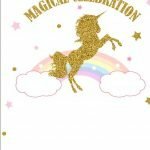 You need to set your printer on a high-level quality before you start to print. 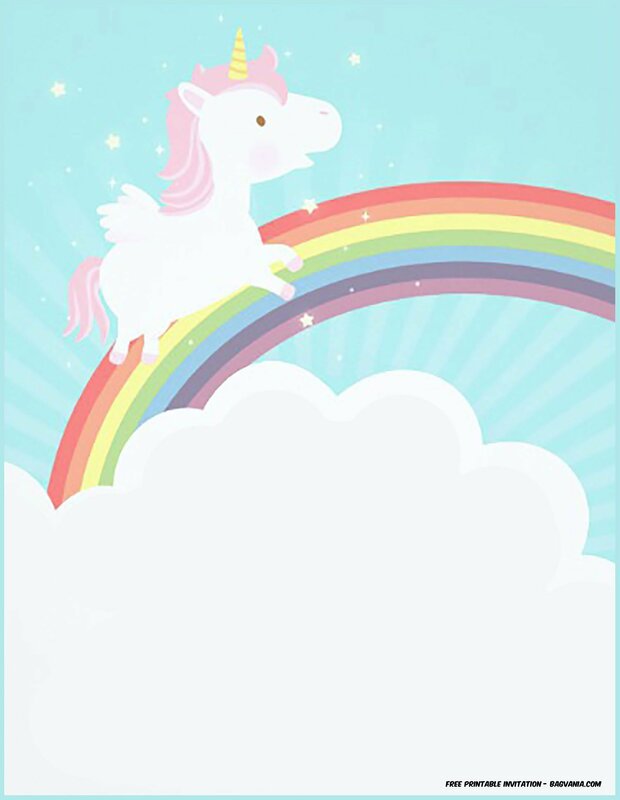 Then, you need to prepare the 5″x7″ size cardstock. 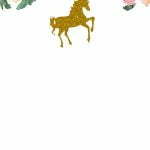 The common cardstock to be used on this occasion is the cotton cardstock. 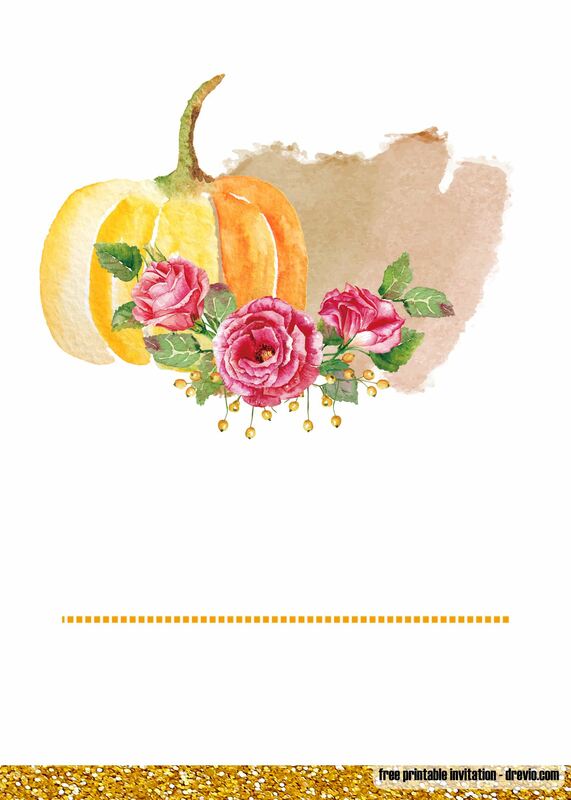 This cardstock will give you a clean look with a luxurious touch. 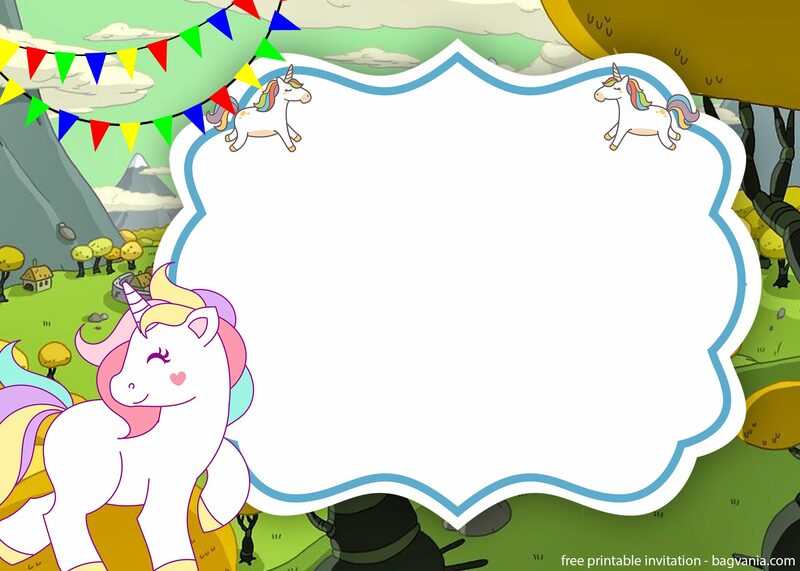 After that, you can just line up the cardstock and then start to print. 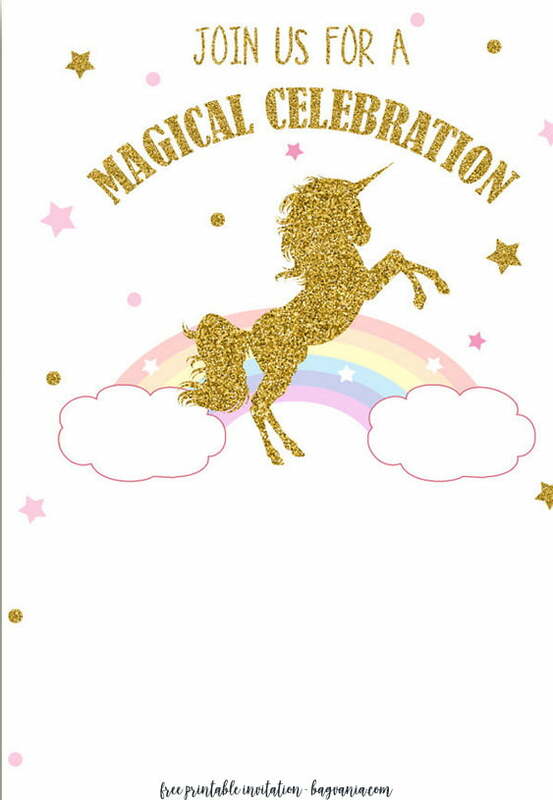 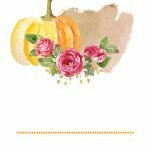 You can use cardstock paper where you can buy the invitation paper from Amazon.com directly.